This session is for High School Age participants. Accurate and consistent passing can result in aggressive multiple attacks. Be sure that players are in the ready position preparing to execute the proper technique before the serve and during a rally. The athlete must face and focus on the oncoming ball. Ensure that the athlete’s arms and hands are in the correct position with wrists together. The legs are a little further than shoulder width apart with feet parallel. The ball is contacted on the forearms. 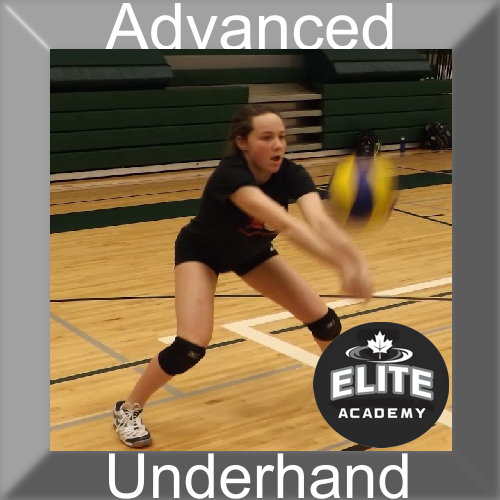 Upon contact, the athlete maintains a stationary straight-arm position so that the ball rebounds off the lower part of the forearms and is directed to the target. The knees are extended to raise the arms forward upon contact. Straightening the legs completes the pass; the arms are behind the ball, and weight is transferred in the direction of the pass, not upwards.